/ Modified aug 17, 2018 4:33 p.m.
An aerial view of the UA Tech Parks. The University of Arizona Tech Park has been selected by the federal government to act as a mentor organization to companies taking part in a competition with $3 million in prize money. 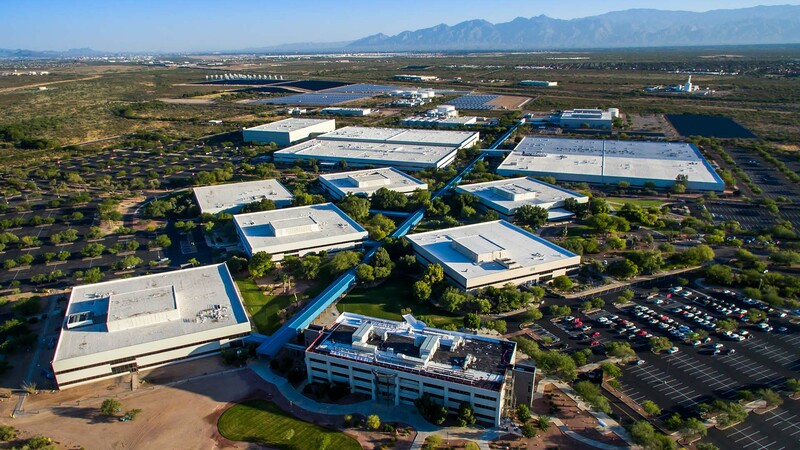 The Tech Park will be a "connector" organization for the American-Made Solar Prize, which is directed by the National Renewable Energy Laboratory and funded by the U.S. Department of Energy's Solar Energy Technologies Office. "We're going to be helping companies, whether they be startups or existing companies, in bring their ideas and concepts forward," said UA Tech Park Vice President Bruce Wright. As many as 52 companies can win prize money from the competition, with prizes ranging between three levels that are differentiated by how close the product is to market. The Tech Park will be able to help companies in a variety of situations. "So everything from putting together the concept of the technology to proof of concept to doing prototyping and even first-generation manufacturing of the product," he said. Wright said the manufacturing portion of the solar industry is increasingly dominated by China. "And I think what the Trump administration is trying to do is bring that back to the United States and make us the leader not only in developing the new technology, but actually producing the products." The Tech Park is already home to a variety of companies that are working to further solar technology or technologies that could further the solar industry such as battery storage.